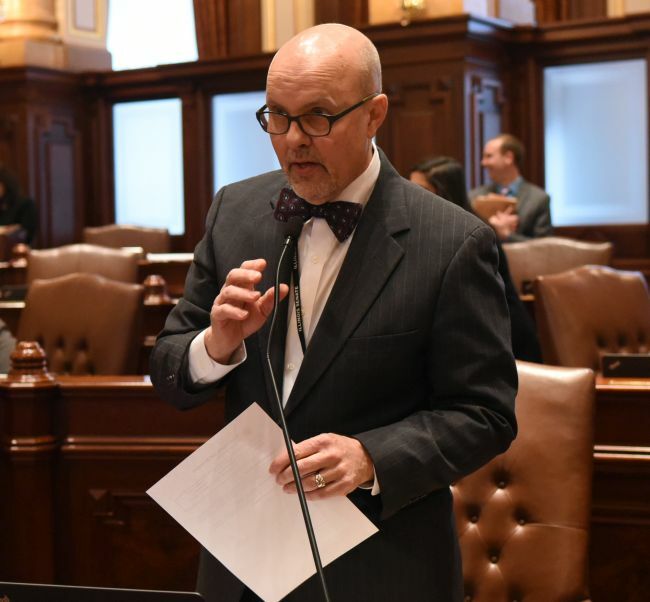 SPRINGFIELD – This week, Governor Rauner released an education funding proposal that, according to critics, does not go far enough in helping Illinois students across the state. Even though the governor’s plan fully funds education at the current foundation level, it still leaves 35 percent of districts as financial “losers” for the upcoming fiscal year. In response, state Senator Dave Koehler (D – Peoria) released the following statement. “The governor’s education funding proposal fully funds the current foundational level, and it also fully embraces an unfair education system that abandons the very students that need the most financial help. “Wealthier, growing schools stand to gain money from the governor’s proposal, while poorer, shrinking schools throughout the Peoria area would see stark decreases in funding in the hundreds of thousands of dollars when they can ill afford it. Sen. Manar has been working on education reform and has yet to receive any numbers on the effect of his reform after repeated inquires to the Illinois State Board of Education. SPRINGFIELD – Each year, students at Pekin Community High School participate in a building trade program, where students learn construction skills and build a home, after which, the school district sells the new home and uses the revenue to fund the program the next year. SPRINGFIELD – Students and workers rely on public transportation every day. 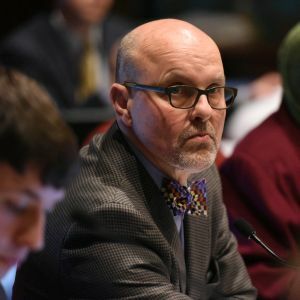 Senator Dave Koehler (D - Peoria) and his colleagues voted to make sure these people can get to and from work, class and wherever else they need to go. After months of tension surrounding the issue of Amtrak funding, Governor Rauner entered into a contract to keep AMTRAK operations running across Illinois. This legislation gives him the spending authority to honor this contract. 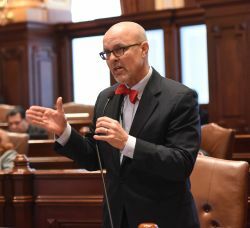 The legislation, SB 2059, also contains funding for higher education, as well as social service agencies that have contracts with the state but weren’t covered by continuing appropriations or court orders. Now, the governor will have the power to honor these agreed upon contracts as well. The legislation is the Senate’s latest effort to pass funds for budget items not yet dealt with during the budget impasse. The legislation is similar to House budget legislation passed earlier this month (HB 2990), but with spending authority for Amtrak and other critical services added. The legislation now goes to the House of Representative for further action. 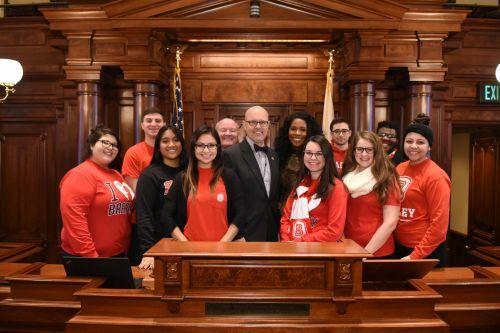 Today, Senator Koehler met with a wonderful group of young scholars from Bradley University to discuss the crucial issue of MAP grants in Illinois, and how we are going to protect the futures of our students.